A local brewery is lending a hand to wildfire relief efforts in California. 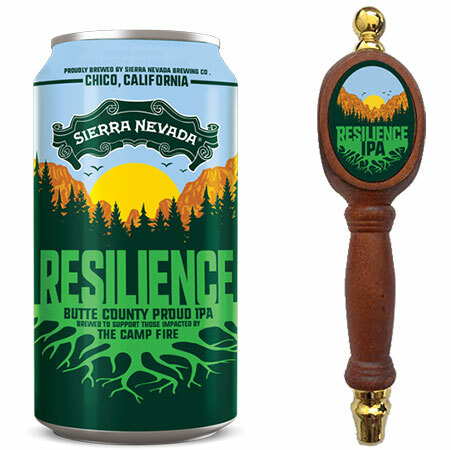 Ozark Beer Co. is joining Sierra Nevada Brewing Co. and over one thousand breweries to brew Resilience “Butte County Proud” IPA. The beer is based on a recipe provided by Sierra Nevada. All of the proceeds from the beer’s sales will go to the Camp Fire Relief Fund. Sierra Nevada is located in Chico, California, just west of the main areas of destruction. So far, the fire has destroyed over 153,000 acres of forest and killed more than 88 people. It has grown into the deadliest wildfire in the United States in more than a century. Ozark’s director of marketing Marty Shutter says the Rogers brewery’s involvement was a no-brainer for many reasons. Participating breweries are listed on Sierra Nevada’s website. Buffalo Brewing Co. in Little Rock is the only other Arkansas brewery signed up at this point. Ozark has a 15-barrel brewhouse and mostly brews double and quadruple batches into its 30- and 60-barrel fermenters. Small, one-off batches are fermented in a 15-barrel tank, which will be used to finish Resilience IPA. Brew day should happen the first week of December, with the beer’s release taking place right around Christmas. The beer will be available exclusively inside Ozark’s taproom. Homebrewers can help with relief efforts as well. The American Homebrewers Association published a scaled-down version of the recipe for Resilience IPA. Although homebrewers can’t sell their product, they are encouraged to donate to the Golden Valley Community Bank Foundation if possible. 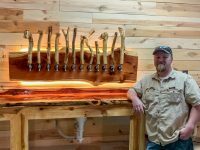 UPDATE: A total of 13 Arkansas breweries will participate in the project, including Water Buffalo, Slate Rock Brewing, Ozark Beer Co., Lost Forty Brewing, Gravity Brew Works, Superior Brew Works, Diamond Bear Brewing, Vinos Brewpub, Rebel Kettle, Bike Rack Brewing, Core Brewing, Fort Smith Brewing, Ivory Bill Brewing and Blue Canoe. Imperial Dry Hop yeast or American ale yeast of your choice. Mash grains at 152°F (66.7°C) for 60 minutes. If including a mash out step, raise temperature to 168°F (75.6°C) and hold for ten minutes. Sparge with 168°F (75.6°C) water to collect 6.53 gallons (24.7 liters) of wort. Bring to a boil and add hops as indicated. At flameout, stir wort to cool slightly and add whirlpool hops. Let rest for 20 minutes before chilling the rest of the way to pitch temperature. Pitch yeast. Ferment at 60–62°F (15.6–16.7°C). Add dry hops towards the end of active fermentation, when specific gravity is around 1.020–1.024 (5.1–6.1°P). Let rest for four days or until fermentation is complete. Cold crash to drop hops out of suspension. Rack to secondary or keg. Substitute 8 lb. (3.63 kg) pale liquid malt extract or 7.5 lb. (3.40 kg) pale dry malt extract for 2-row malt. Steep crystal malt in brew pot for 20 minutes at 167°F (75°C). After steeping, remove specialty grains and bring water to a boil. Note: when adding malt extract, it is recommended to turn off or remove heat so as not to scorch the extract on the bottom of the pot.